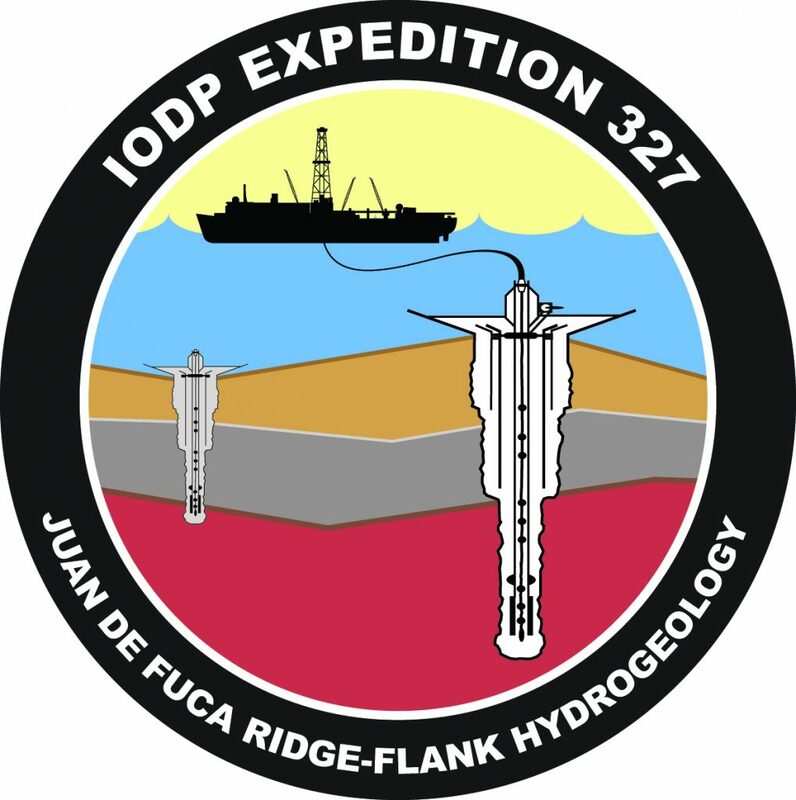 This expedition was part of an experiment that built on results from Leg 168 and Expedition 327 to the Juan de Fuca Ridge in 1996 and 2004. We’ve worked in this area for quite a long time! Our main goal was to measure how water moves in the ocean’s crust and how the water changes the rock around it. We wanted to know more about the role of heat and pressure in the water’s movements, where and how it is stored, and connections between its pathways. We were also very interested in the microbes scientists have found there. Think about it — microbes living where there’s no light or oxygen. How are they adapted to living in the seafloor water and rock, and what changes do they cause in the rock around them? But why spend 60 days at sea working ’round the clock to sample water in the seafloor? 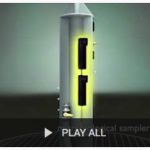 To have a better understanding of the role this groundwater plays in the the processes of the Earth and ocean. During Expedition 327, our scientists, engineers, and drillers lowered sampling tools known as CORKs in two new holes we drilled in the oceanic crust below. The tops of the holes were sealed from the ocean water above, and each CORK sampled water and microbes while collecting temperature and pressure measturements for several years. Future expeditions with submersibles will recover the tools and allow us to conduct water flow experiments in a network of CORKs in the area. 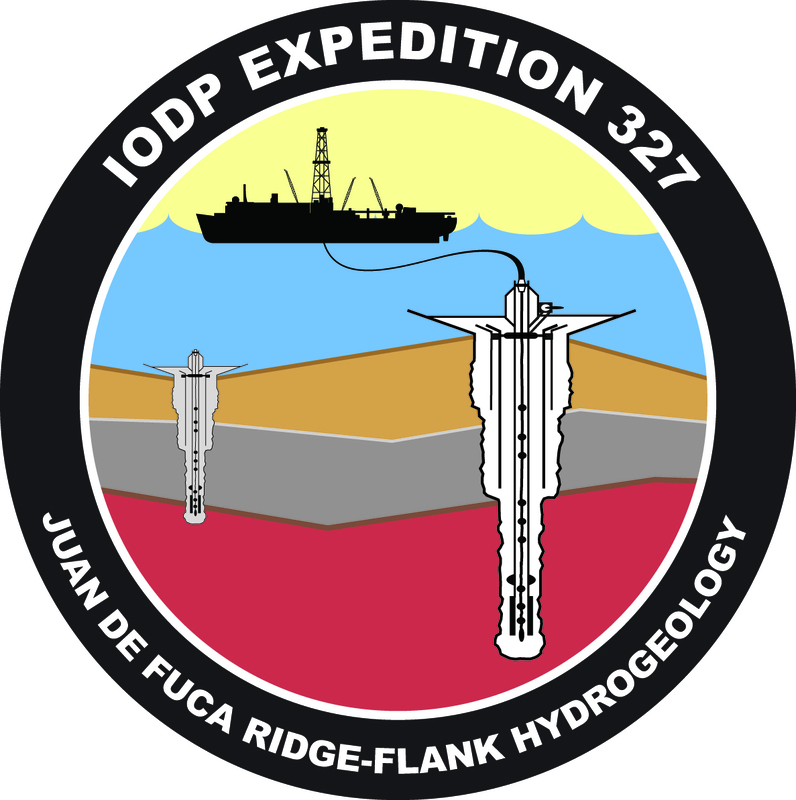 The Expedition 327 team included an international education and outreach program intended to develop tools and techniques that facilitate the communication of exciting scientific drilling results to a broad audience, build educational curricula, and create media products that will help achieve critical outreach goals. *For a more detailed scientific explanation, see the Expedition Prospectus. Meet our fantastic Education and Outreach Team for Expedition 327! Jackie Kane joins JOIDES Resolution Expedition 327 and its team of educators to continue the outreach of shipboard science to academics and the public worldwide. She holds two master degrees in education and approaches her 24th year of teaching in Ohio, grades 7-12. Jackie participates in workshops and research experiences, particularly in remote sensing and nanotechnology at the University of Toledo, vacuum science through the American Vacuum Society, and alternate energy through a BP grant (constructing a wind and solar powered-lamppost outside her classroom at school, 2007). She advises JETS and Science clubs at her school, each of which has recently won Engineering and NASA competitions. Jackie’s experiences with webcasts, publishing, inventing, and presenting, combined with other life experiences, equip her for this capstone work aboard the JR. She enjoys presenting at conferences and workshops and developing solutions to problems. And though she marvels at the process for preparing articles for publications, Jackie has authored and co-authored articles in science education journals. In what seems like a long time ago, Jackie believes her trip around the world on the Universe Campus ship, repelling off cliffs and careening down the Green River in Colorado Outward Bound, finessing her way through motherhood, while relying heavily on her faith and husband of 36 years, adds to the way she looks at science, education and communication. Jackie hopes to stir up the sediment of buried curiosity for ocean research in her home area on the western shore of Lake Erie. 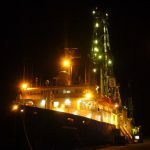 Come join her on Expedition 327, summer 2010, as she studies alongside the experts to explore the largest lab on Earth, the ocean floor and below! 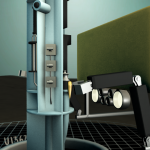 I am a student in the Department of Visualization within the College of Architecture at Texas A&M University. I received my B.S. in Visualization in May, and I will be continuing at A&M in pursuit of a M.S. in Visualization starting in the fall. My interests include computer graphics, photography, videography, and traditional art. Though I attend college in Texas, I am from the Midwest at heart. I grew up in Ohio and completed high school in Michigan. When I’m not spending time doing projects and staring at a computer screen, I love to be outdoors. In the summer, I enjoy backpacking, rock climbing, and kayaking, and in winter I ski and snowboard. I have been a professional artist for the past 30 years. My gallery and frame shop is located in Portland, Texas, a little town on the Gulf of Mexico. I work in a variety of media including watercolor, acrylic, collage, scratchboard, and GYOTAKU (Japanese fish printing). I enjoy doing illustrations of fish, birds, plants and other biota found in marine and estuarine environments. My fine art pieces can be found in public and private collections across the U.S. During my spare time, I enjoy traveling, nature watching,fishing, visiting art galleries and museums, SCUBA diving, “junqueing”, and reading. My name is Brigitte. I’m a 41-year-old French teacher living in Normandy. I graduated in 1992 and passed an agregation in Rennes. I was happy studying biology and geology for 5 years after the baccalaureat (end of high school ) but then it was the end of my studies and the beginning of another story, being a teacher in a quite difficult area where I could learn real teaching! Three years later, I had a quieter place in a high school in Bayeux where I stayed. I love this job but I’m interested in plenty of other things – that is why I’m always exploring other experiences when I can, other types of lessons, other levels, other topics. It’s why I’m so happy to jump into the JOIDES Resolution – I remember my own teachers speaking of it at university! It’s why I’m also very glad to discover and work with all of you. See you soon! Jean Marie is from France and is 36 years old. He graduated from a French Agregation of biology and geology. As a teacher in High school, he worked for 5 years in French Guyana. There, he managed several innovative educational programs. When he returns to Normandy in September, he hopes to carry on with exciting educational programming. Getting involved in this a project is a youthful dream for Jean Marie!